An application by Caloundra Chamber of Commerce for additional closed circuit television (CCTV) cameras to be installed in the Caloundra CBD was today (May 17) approved by Sunshine Coast Council, subject to a range of conditions being satisfied. The public space cameras will be in addition to the 42 that council operates and maintains on the Sunshine Coast, including 18 already in Caloundra, 13 in Mooloolaba, nine in Nambour and two in Maroochydore. 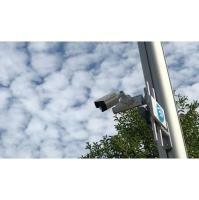 These cameras are used to detect unlawful behaviour and to assist with improving public confidence in the safety and security of public spaces. The additional Caloundra cameras will be primarily in Bulcock Street and Felicity Park. Executive officer of the Caloundra Chamber of Commerce, Olivia Sainsbury says she is pleased that the Caloundra CCTV systems project is progressing. "As strong advocates for the safety of our community we are happy with the outcome of today’s Council meeting for the progression of the Caloundra CCTV Systems project and we are looking forward to working alongside the Sunshine Coast Council to secure the optimum outcome for our region." She said. "While we are happy with this result it will take some time to understand how the conditions put upon this motion will play out." "While we understand that this process hasn’t been easy, we welcome the increased safety, security and additional resources that this project will bring to both our community and the Police." Council and the Caloundra Chamber of Commerce and Industry will enter into a formal agreement detailing both parties’ responsibilities. The appropriate Grant Agreement has been entered into with the Commonwealth Government for the Caloundra CCTV system project. Council and relevant Queensland Government bodies will enter into a formal agreement detailing both parties’ responsibilities for the funding of maintenance and replacement for the Caloundra CCTV system project.